What type of rodent pest control solutions are available? Depending of the type of pest infestation you have, we supply a range of bait-based solutions that ensure safety is a priority. If children, pets and other animals are present or if your premises deal in food handling, precautions will be taken to the highest standards. Our bait systems are lockable and will always be placed our of the reach of children and inaccessible to pets. Our expert team of pest control specialists will inspect your home to identify the pest. We will then recommend the best pest control solutions based on our findings. During the inspection, we will determine the species type, where the nesting site is located as well as entry points. Baiting programs and other control measures will then be implemented, with follow up visits to ensure the infestation eradication is successful. Our team of local Bendigo Pest control specialists will visit your commercial or rural property to identify and eradicate your rodent pest problem. A pre-existing rodent program will include inspections to determine species type, nesting sites, and entry points. We will set in place a pest control solution schedule and maintenance program, including monthly or quarterly services, which will include supply service reports and supporting documentation for each visit. At Go Pest, we believe prevention is better than cure. A go pest control specialists will visit your commercial or rural property to identify and eradicate your rodent pest problem. We will inspect the premises and offer our expert recommendations on rodent-proofing based on your specific property layout. The next step is to set in place a pest control solution schedule and maintenance program, including monthly or quarterly services, which includes service reports and supporting documentation for each visit. What happens during a Rodent Inspection? A thorough inspection is required to determine where the pests are accessing your property and where they are nesting is vital to the complete eradication of the pest. During a Go Pest rodent inspection, our qualified technicians will determine how many traps or stations will be required, based on the severity of the infestation, the size of the home and the nearby environment. For more severe infestations, a number of visits by our pest control specialists may be required for long-term solutions. 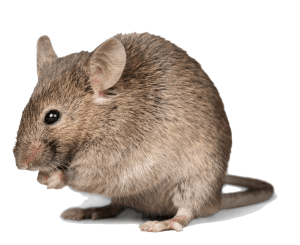 Call our office today for rodent pest control solutions in Bendigo, Inglewood, Rochester, Maryborough, Heathcote, Pyramid Hill, Castlemaine, Echuca and beyond.